I like surprises but I am RUBBISH at keeping quite about it and this one had me fit to burst! As you may know the Dude and I have had a big birthday this year and he surprised me with a trip to Glen Coe back in February (he earned a lot of brownie points for this). And so a couple of weeks ago it was my turn to reciprocate the favour. I chose an area that, so far, had remained unexplored for us, somewhere with a variety of things to do and local pubs so that we could both have a drink to celebrate. I had chosen a weekend in Aviemore. With just less than a two hour drive ahead of us all I had indicated to the Dude was that we were headed north. He would have easily have guessed this as soon as we got on the A9 anyway. 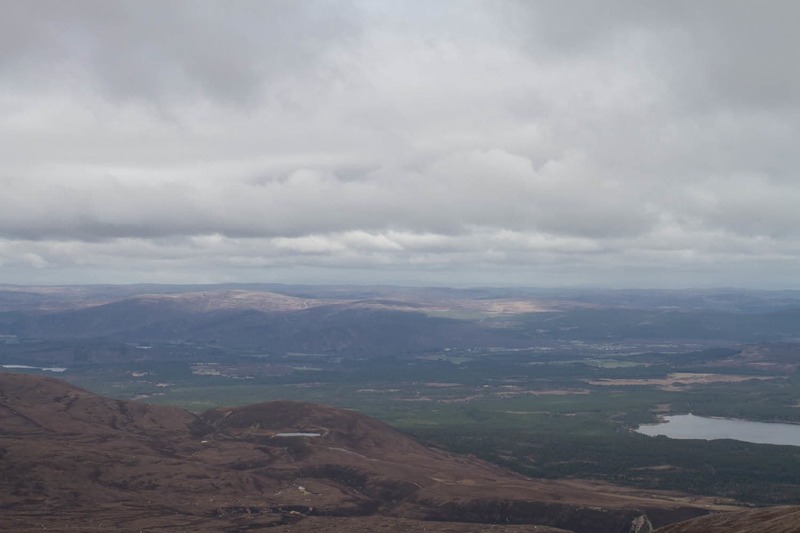 We left on the Friday morning and I had planned one thing for each day – one on the drive up to Aviemore on Friday morning. One on Saturday morning and then one Sunday before heading back home. Leaving Perth with a car full of kit – walking boots, hats, waterproofs, maps, walking books, binoculars, cameras, swimming costumes, smart evening clothes and everything else in between. Of course it didn’t take long before the guessing started and it didn’t take long before getting the correct location. But he was unaware that we would be making a stop off at Dalwhinnie distillery, just a few miles off of the A9. 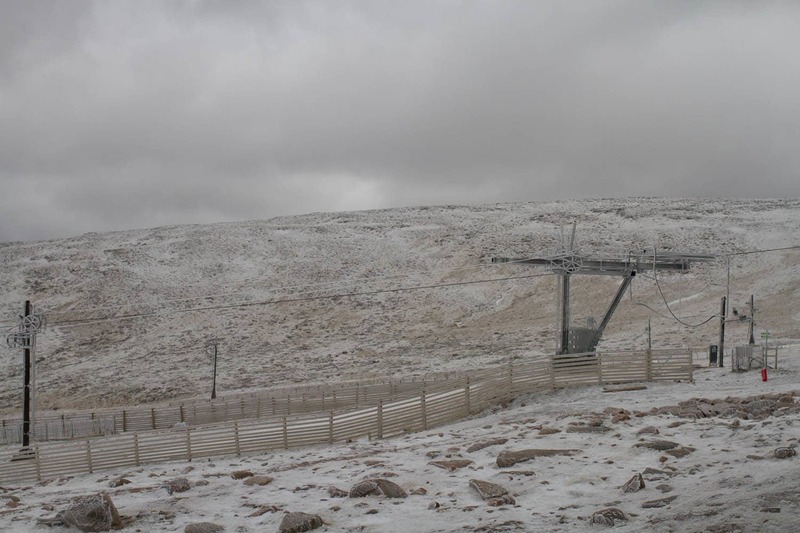 Dalwhinnie sits at 1164 feet above sea level and due to this has an average yearly temperature of just 6°. Brrrrrrrrrrrrrrrr. The tours lasts for around 45 minutes and concludes with a tasting of two different whiskies produced on site, one of which is paired with highland chocolate. Lovely location, informative tour with a small group and good value. Onward and upward we continued (now with me driving as I hadn’t drank any whisky) up to Aviemore. 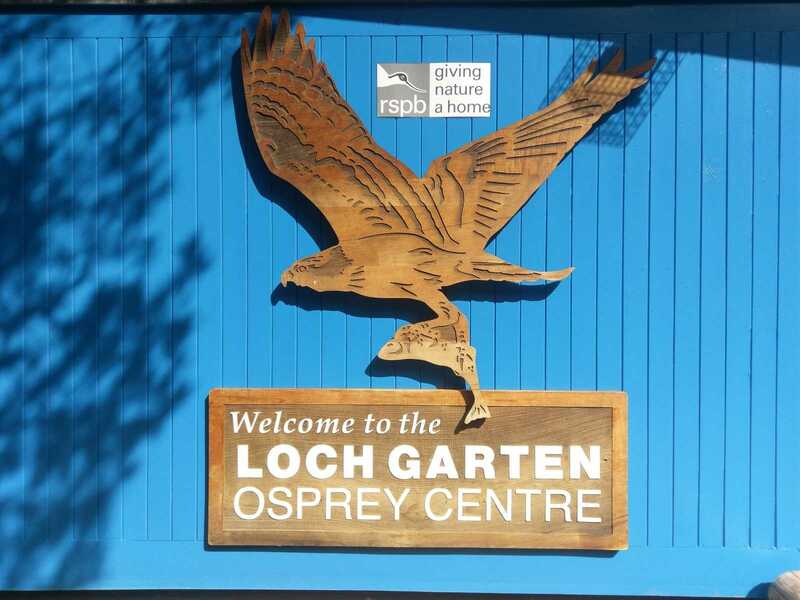 To be precise we just drove straight through and our second stop was Loch Garten and the RSPB reserve to see the nesting ospreys. We are members of the RSPB but you can still pay as a one off visitor, a small fee to enter the reserve. With a short walk from the entrance the hide was a hive of activity with people watching the ospreys on the television live camera feeds or through binoculars and scopes. There are plenty of windows, at all heights, many with binos or scopes set up for you to use (great if your don’t have you own with you). There were a few volunteers available to answer questions about the ospreys, small birds on the feeder and other wildlife that call the reserve home. This is a great idea and its nice to have that interaction and knowledge available. I’m probably not doing the hide much justice really. It is a large space, with plenty of information to read and boards on the wall with various sightings for the day. A corner with benches where you can sit comfortably to watch the live feeds or listen to the volunteers when there is a talk going on. You are also able to watch the smaller birds, red squirrels and woodpeckers on the feeders too. There is also a small shop where you can buy bird books, greeting cards etc. We spent about an hour watching and hoping we would see an osprey in flight and sadly this didn’t happen but with the live feed you don’t miss a thing. This year E.J & Odin have a clutch of three eggs & hopefully they will hatch safely. 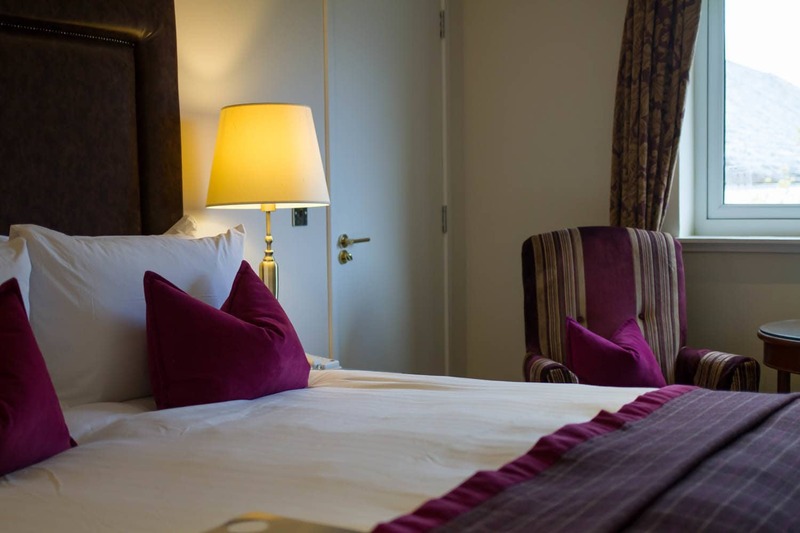 Then it was time to check in to the Highlands Hotel – MacDonald Aviemore Resort. Its nice and central to everything the town has to offer – cafes, supermarkets, pubs, restaurants, buses and the train station too. Lovely hotel but I plan to talk about it in more detail in a future blog. Up nice and early, but not too early, for another day of surprises. Although, the Dude now admits he suspected the next surprise was on the cards as it has been on my list of things to do since we moved here! 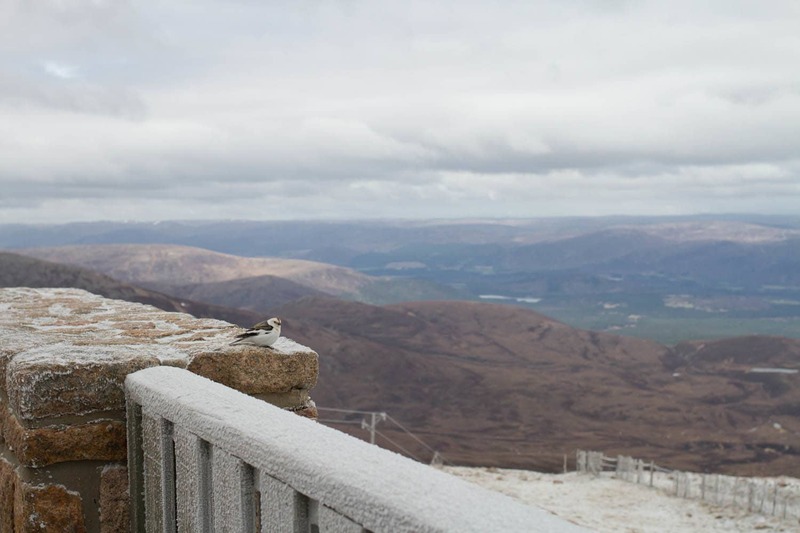 Scotland’s only funicular railway runs up CairnGorm mountain and carries visitors up to (hopefully) enjoy the views from 3500ft above sea level. With trains running up and down the line approximately every twenty minutes and gets you to the top in about eight minutes its easy to see why this is a popular attraction. Making the mountain and its views accessible to everyone. At the top there is a visitor centre which includes the history of the mountain, a gift shop, coffee shop and restaurant and of course the viewing platform. It also has the highest post box in the British Isles too, how cool is that? On this occasion, despite it being bitterly cold at the top, with a dusting of snow, our view was clear, we could see for miles. We had taken our own binoculars up with us too. After about ten minutes we were freezing even though we were wrapped up so we went in for coffee and managed to get a window seat to enjoy the view some more. After thawing out we ventured back out to take it all in once more and take a few more photos. We were sad to see people racing up from the funicular, take a few selfies and then be back on the next train down. Not taking time to enjoy the view, just ticking the box to say they had been there. We must have spent nearly an hour and a half up there and I imagine if you did it every day it would be something you would never tire of. Truly beautiful and we were very thankful for the clear views. 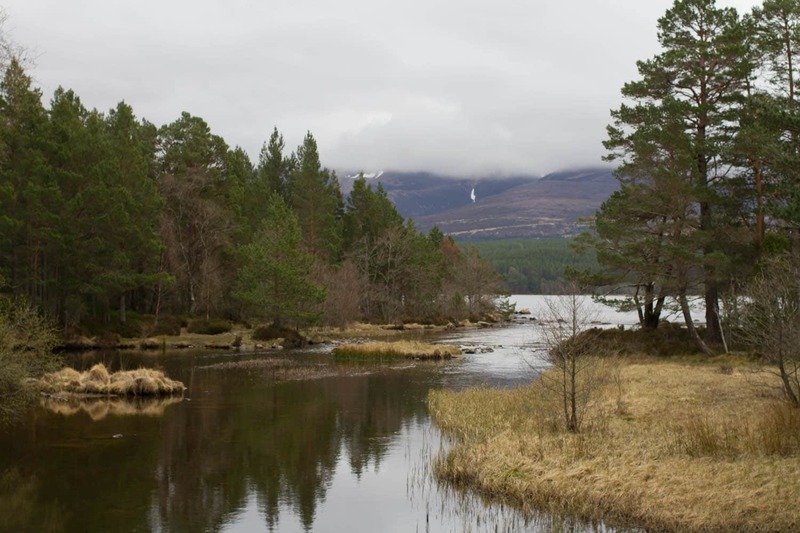 During this weekend we wanted to get a few smaller walks done and we decided a circular route around Loch Morlich. There are plenty of way-marked paths that vary in length and the one we followed was about 6k and started from the main carpark and went around the loch. A variety of different paths and a short distance on the road too. It wasn’t a particularly long or challenging walk but it was nice to stretch our legs and enjoy the views. We even noticed at one point that CairnGorm mountain summit had been covered in cloud making us feel even luckier to have been up earlier. Great place for cycling, walking, running, and also kayaking etc on the water. Just a couple of days after our visit here there was snow on the sandy beach here too! Insane. After all this excitement it was back to the hotel to dump the car and go for beers. We found the Winking Owl which is owned by Cairngorm Brewery, a great opportunity to try out some local beer. Of course this meant staying for more than one because we had to try and decide which ones we like the best. So far my surprises had gone down well and had been easy to keep but this was proving a little bit tricky. “We are going out for lunch and its quite special, but not super dressy” was my hint. 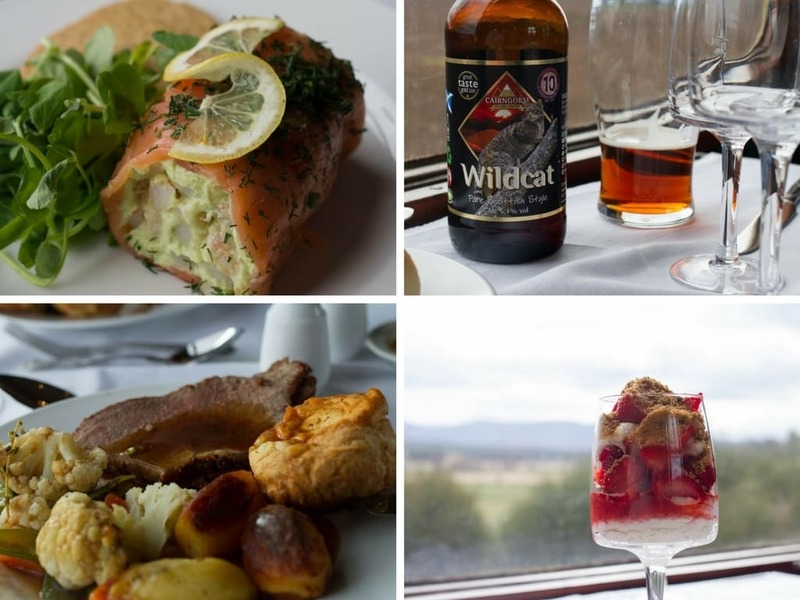 I had booked us in for lunch aboard the Strathspey railway, first class, obviously! 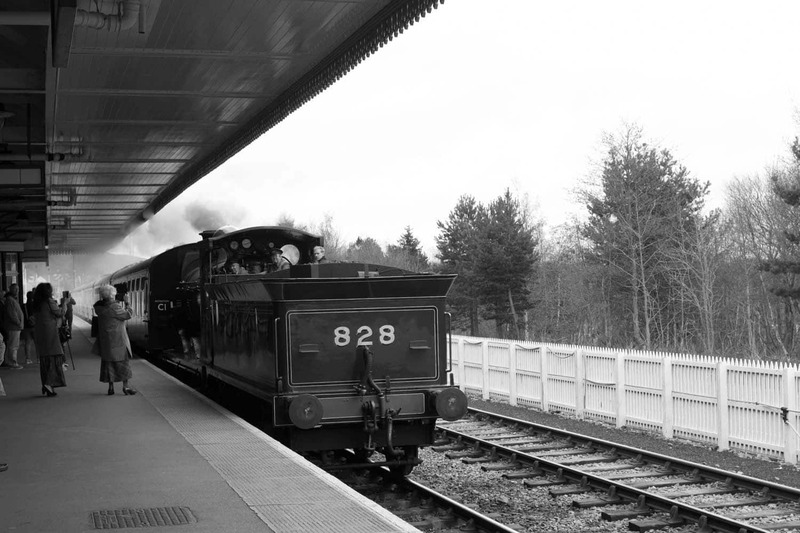 Departing from platform three of the main railway station in Aviemore the Strathspey steam engine is a huge attraction. Suitable for all ages and there are various types of day and evening trips, and dining experiences. All very reasonably priced. We handed over our tickets at the first class dining carriage and were escorted to our compartment. Just like a scene from Harry Potter but with a table all laid out. Before we had enough left the station our (pre-ordered) drinks were brought to us and also our starter. All food has to be pre-ordered when booking and this allows for a normal service as if in a restaurant on the day. 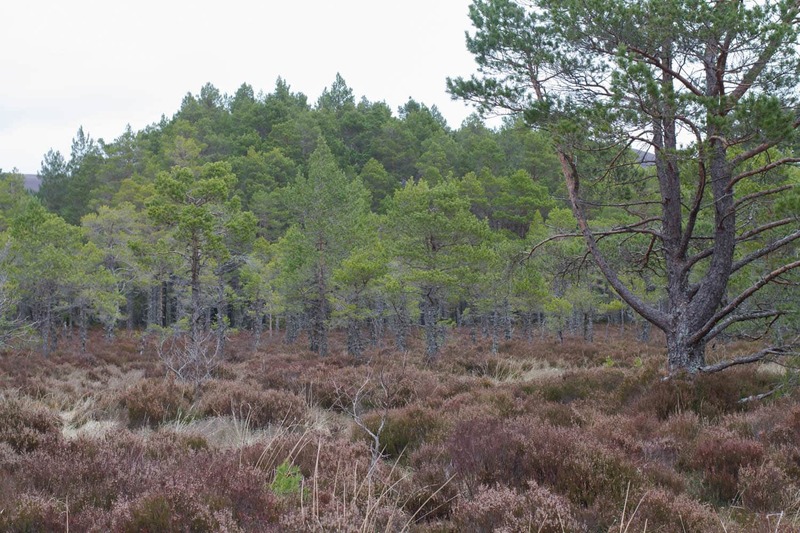 Once out of Aviemore the scenery opens up to allow views of mountains and fields. There are various places where the engine stops along the line so we could enjoy the views and allowing staff to serve food or clear plates away etc. 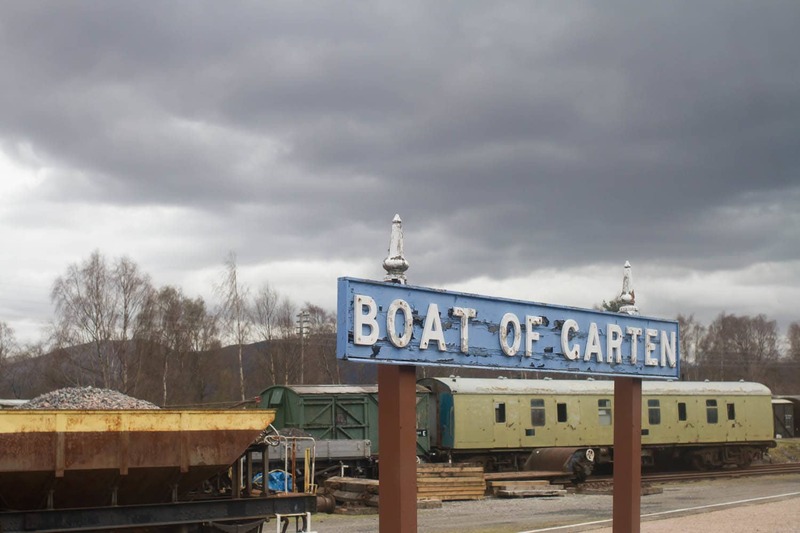 This service runs through Boat of Garten up to Broomhill and then returns and takes just under two and a half hours. It really is quite special and very reasonably priced at £102 for the two of us (drinks are paid extra). 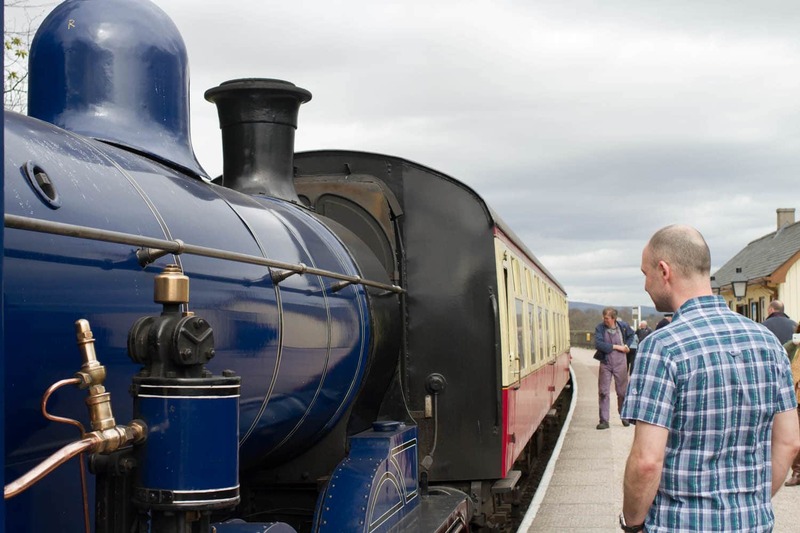 The cost for a standard return ticket to Boat of Garten is less than £12 for an adult ticket. Well worth doing if you are in the area. After this highlight it was time to make our way back down the A9 and home. 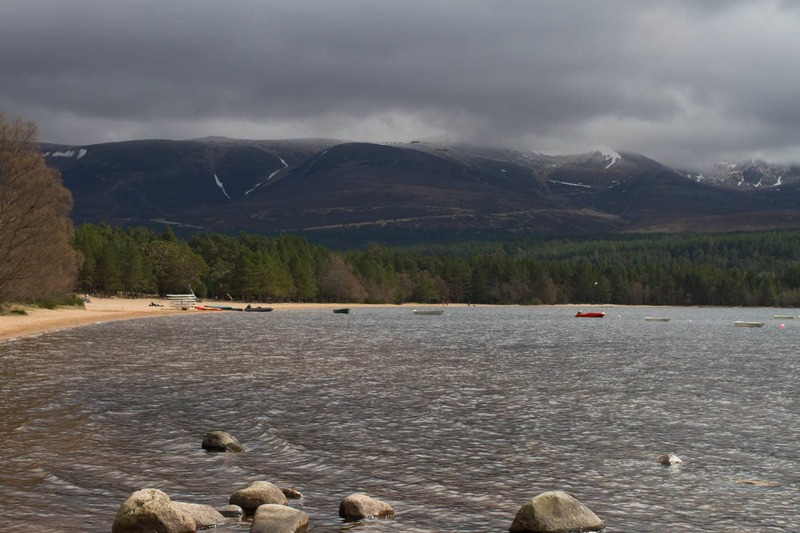 There is still SO much more to explore and a weekend in Aviemore is nowhere near long enough to do it all. A good reason to come back. Do you have any suggestions for what we can do next time? Beautiful photos of such a wonderful place. 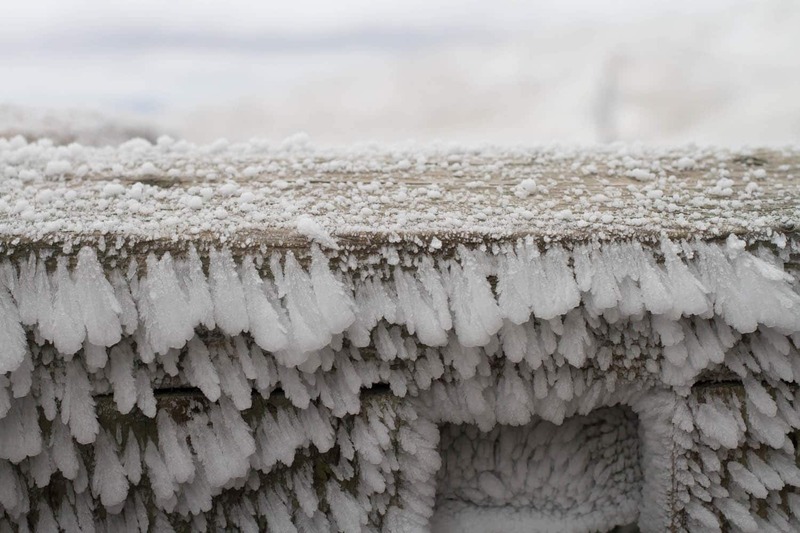 We’ve just returned from the Cairngorms, you had much clearer views on the Cairngorm Mountain viewing platform than us! 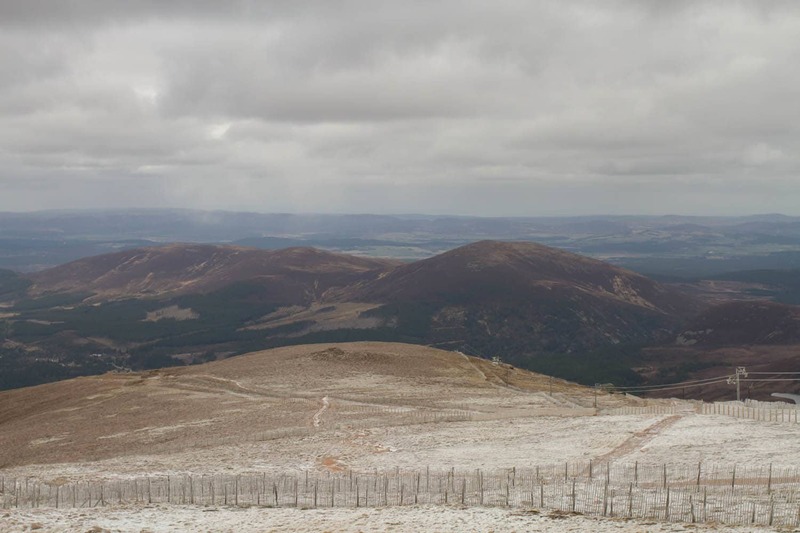 I would highly recommend the Cairngorm Reindeer hill trip, just outside Aviemore, it was a great experience. Fabulous photos as always and it looks like an amazing place. It doesn’t sound like we’re going to get our trip to Aviemore this May 🙁 but we’ll definitely be heading up there as soon as we have a camper van. I do agree with you about the people who whizz up there and take a selfie without taking time to enjoy the view. Why bother?? Lunch on the train was fabulous. He loved it. I think we would definitely do it again. It was a really good weekend. And dinner really was fab.